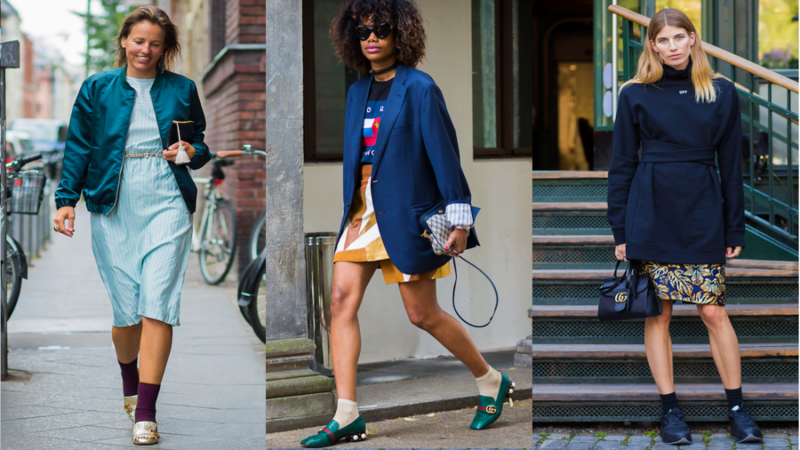 Over-the-ankle socks are your new favorite (affordable) accessory. As Emily demonstrated in today&apos;s outfit post, there&apos;s a major trend happening right now involving socks worn with mules, loafers, heels, sneakers, sandals, and slides. The socks in question aren&apos;t mid-calf, they&apos;re not knee-high, and they&apos;re definitely not the below-the-ankle gym kind you wear to work out. They&apos;re thin, short styles hitting at just an inch or two above the ankle (or slightly higher, but effortlessly scrunched), that are made to be seen—and I am loving the look. 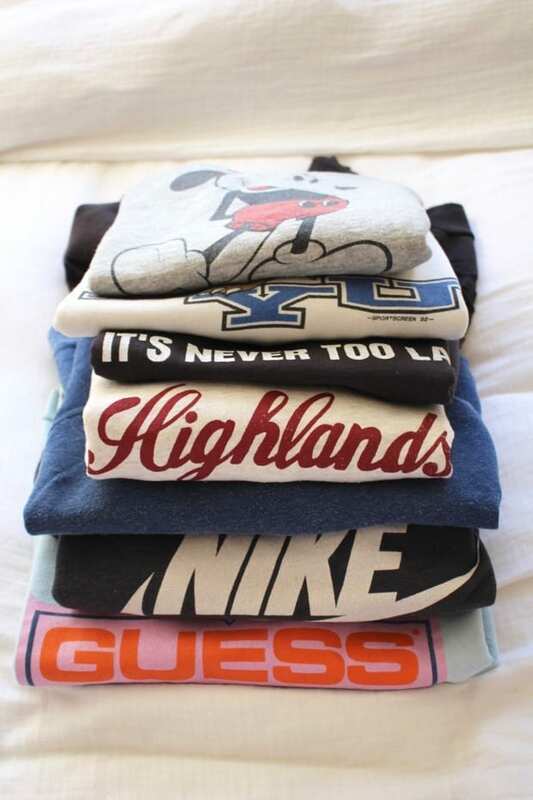 They add a cool, prep-school or punk vibe to your look depending on the pair and how you style them. Below are some inspiration images I&apos;ve been cataloguing for weeks (I screenshot any/everything that strikes my eye, which is partly why we started this new series! 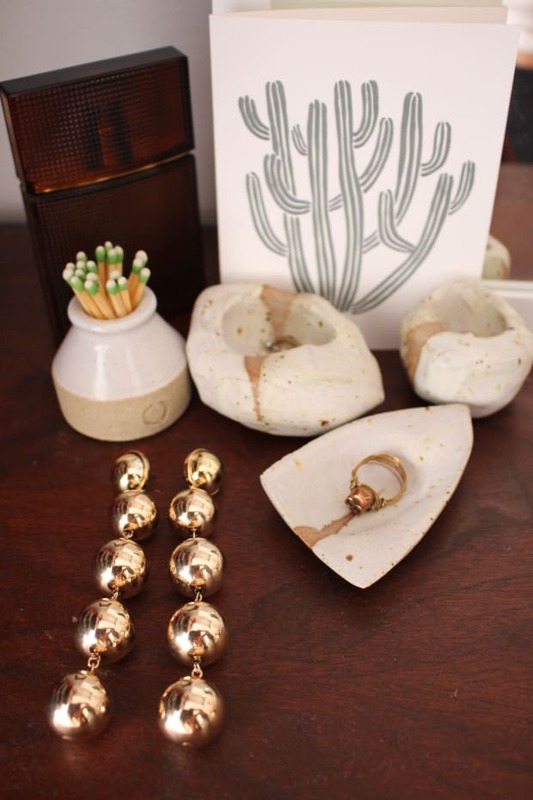 ), as well as a few tips for trying out the trend. 1. The crazier the sock, the simpler the shoe. If you&apos;re going for a fishnet (which are their own micro-trend within the sock trend right now), a sparkly sock, a patterned sock, or a sheer sock, stick with a flat and/or neutral-colored shoe. If the shoe is going to have a heel, it should be an un-detailed and daytime-wearable style. 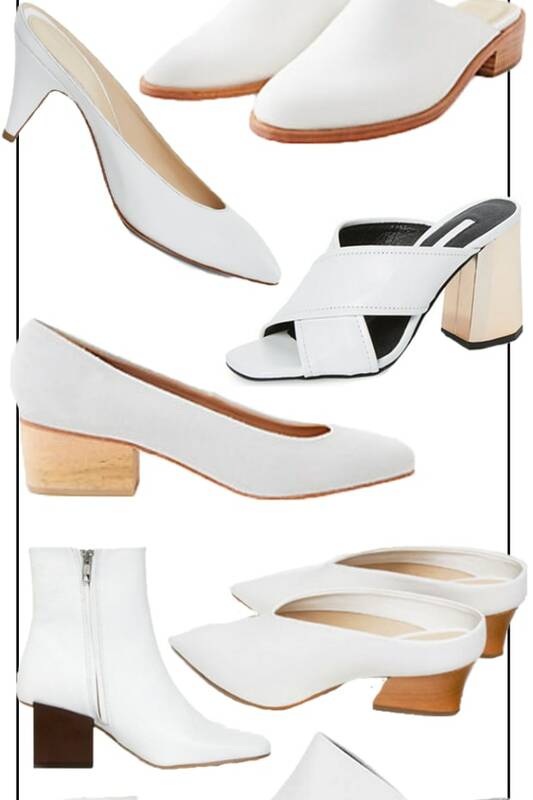 For example, a brown or black leather, block-heeled, round or square-toed pump or ankle boot (see: top-right, bottom-left, and bottom-right above). 2. The converse to that rule is the crazier the shoe, the simpler the sock. If you&apos;ve got a fun pair of furry slides, reach for a basic neutral pair of socks (gray, white, black, tan), and skip the pizzaz (see: bottom-center). 3. If you&apos;re going to do a sock with an open-toed sandal, the sandal should be flat or extremely low-heeled, and a clean, sleek style (i.e. nothing lace-up or too strappy)—middle-left above being the perfect example. 4. If you&apos;re doing a bolder sock like a fishnet, or an open-toed shoe (which is more daring than a closed-toe shoe), make sure that there&apos;s only a little bit of leg showing (top and middle-left, bottom right above). 5. If you are wearing a mini skirt + socks look, the shoes you pair with the outfit should be flat, like top-center above. 6. For a sporty sneaker look, a neutral sock is best—pairs with patterns don&apos;t work as well with the inherent casualness of the shoe as simple pairs in basic colors do (see photos middle-center and middle-right above). 8. In general, the thinner the sock the better. This look isn&apos;t about warmth so skip the camping socks and go for streamlined pairs. 9. 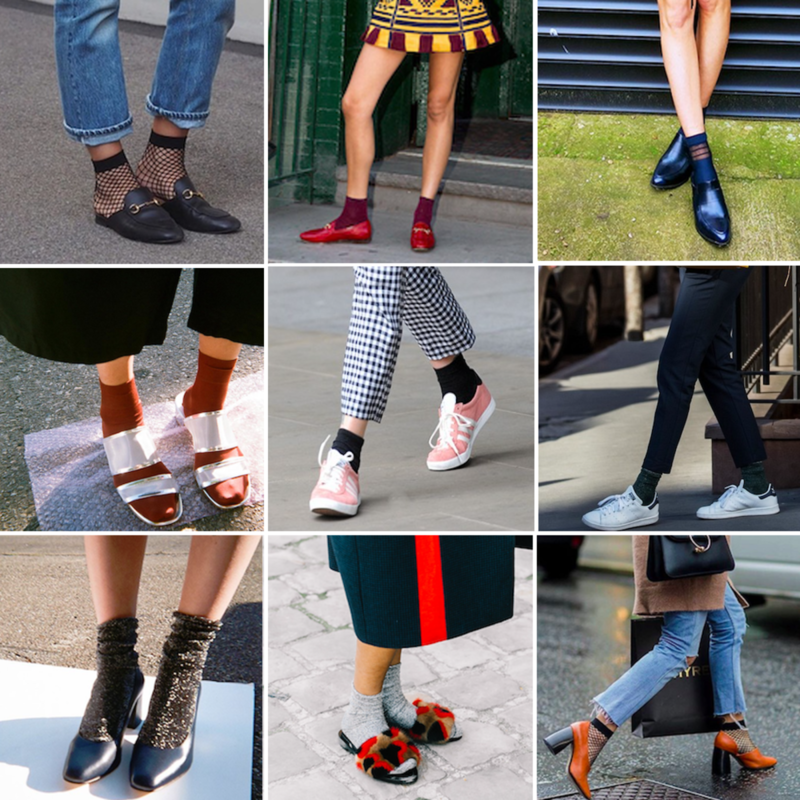 Though a higher-heeled shoe and sock can work, it&apos;s less versatile and effortless than mid to low/flat, as evidenced by all the photos above. 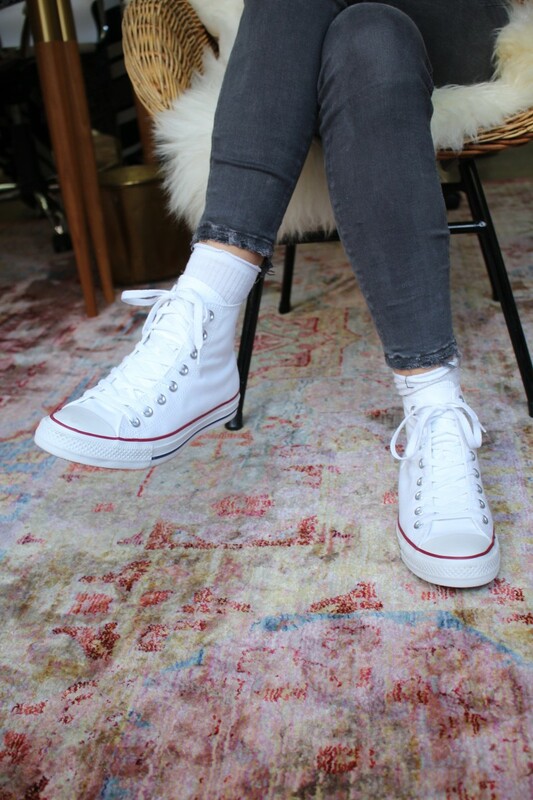 A pair of simple white-rib socks that I got at Urban Outfitters—I like that they work just as well peeking out of high-top tennis shoes as they would with a prim and proper pair of mid-height heels.